A brighter future is in your hands. We’re currently seeking a Lanscaping Crew Leader. You are a detailed landscaper who inspires your team through passion. When you’re in charge of a team or a site, perfection is never in question. 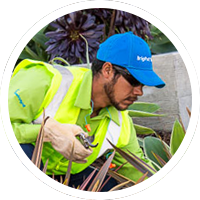 BrightViewcount on experts like you to lead our maintenance team and develop exceptional customer care.